January 6 2015, 11:33 a.m. The following day, Ahmed was arrested and “charged with a racially aggravated public order offense.” The police spokesman explained that “he didn’t make his point very well and that is why he has landed himself in bother.” The state proceeded to prosecute him, and in October of that year, he was convicted “of sending a grossly offensive communication,” fined and sentenced to 240 hours of community service. As demonstrators demanded he be imprisoned, the judge who sentenced Ahmed pronounced his opinions “beyond the pale of what’s tolerable in our society,” ruling: “I’m satisfied that the message was grossly offensive.” The Independent‘s Jerome Taylor noted that he “escaped jail partially because he quickly took down his unpleasant posting and tried to apologize to those he offended.” Apparently, heretics may be partially redeemed if they publicly renounce their heresies. To put it mildly, not all online “hate speech” or advocacy of violence is treated equally. It is, for instance, extremely difficult to imagine that Facebook users who sanction violence by the UK in Iraq and Afghanistan, or who spew anti-Muslim animus, or who call for and celebrate the deaths of Gazans, would be similarly prosecuted. In both the UK and Europe generally, cases are occasionally brought for right-wing “hate speech” (the above warning from Scotland’s police was issued after a polemicist posted repellent jokes on Twitter about Ebola patients). But the proposed punishments for such advocacy are rarely more than symbolic: trivial fines and the like. The real punishment is meted out overwhelmingly against Muslim dissidents and critics of the West. The authoritarian impulses that drove Ahmed’s prosecution are increasingly asserting themselves. In November, a 22-year-old Iraqi-British woman, Alaa Abdullah Esayed, was arrested and charged with using Twitter to promote terrorism. In the words of the police, she stands “accused of providing a service that enabled others ‘to obtain, read, listen to or look at a terrorist publication, by providing links to speeches and other propaganda. '” When she appeared in court last month, the prosecutor emphasized that she is “accused of uploading 45,600 tweets in just under a year encouraging children to use weapons and embrace extremism.” Among her transgressions is “post[ing] pictures of corpses felled in battle and poems entitled ‘Mother of the Martyr. '” She faces years in prison, and the judge barred her from using Twitter pending her trial. You hold to an ideology which espouses jihad as an essential part of the Islamist obligation. . . . I sentence you not for your beliefs, abhorrent though they are to all civilized people, but for your actions in disseminating terrorist material with the clear intention of radicalizing others. . . . Your purpose was to encourage and promote your particular brand of violent fundamentalism. . . . You were deeply committed to radicalizing others, including very young children, into violent jihadist extremism. . . . You appear to have no insight into the effect of radicalizing your children, having selfishly placed your own ideology and beliefs above their welfare in your priorities. In other words: you’re allowed, by our generosity, to mentally harbor your vile opinions. But if you try to publicly advocate them on Facebook, convince others to believe them, or teach them to your children, then you are a dangerous criminal who belongs in prison. 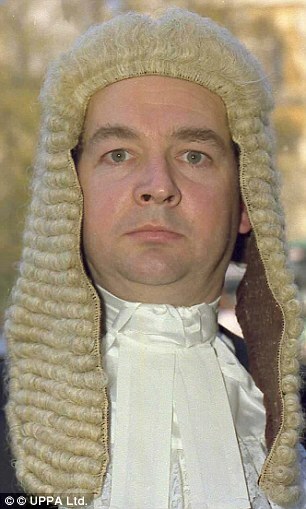 Needless to say, this judge would never lecture, let alone sentence, anyone for “holding to an ideology” that advocates violence by the British government in Muslim countries, nor parents who indoctrinate their children to join the British military, nor those who led that country to invade and destroy Iraq in an aggressive war. To understand the point, one need not equate these views or view some as better than others. The point is that this is the state punishing expression of some viewpoints while sanctioning others. This is about criminalizing specific views anathema to the government’s policies, outlawing particular value systems. This eagerness to criminalize political speech becomes more compelling as social media vests ordinary individuals with greater autonomy to disseminate news as well as their views. No longer dependent on corporate media institutions acting as Responsible Gatekeepers of Tolerable Opinions, individuals all over the world are now able to curate their own news and create their own powerful opinion platforms. The democratizing effects on political discourse have long been heralded as a future potential of the internet, but it is now a promise finally being fulfilled, and it is scaring entrenched political and media institutions all over the world. Many westerners received news about daily developments in the “Arab Spring” from previously unknown Arab citizens using Twitter and Facebook rather than from large establishment media outlets. That significantly increased sympathy for the protesters, now more humanized than ever before, at the expense of the U.S.-supported tyrannies (long protected by the west’s media outlets) which they were attempting to uproot. Perhaps the most potent example yet was the most recent Israeli attack on Gaza, where, for the first time, the full brutality and savagery of Israeli aggression was publicly conveyed. That’s because, despite their poverty, many ordinary Gazans now have video cameras on their cellphones and a Twitter account, which meant they were regularly uploading horrific video of Israeli bombs and tanks destroying hospitals, schools and apartment buildings, which in turn prevented Western journalists from ignoring or diluting the civilian carnage. Transferring information control from large media outlets to individual Gazans radically altered how that attack was covered and, thereafter, how Israel was perceived around the world. That is a genuinely fundamental change. Like all technologies that threaten to subvert prevailing authority, social media–along with the Internet generally–is being increasingly targeted with police measures of control, repression and punishment. Just like mass surveillance does to the Internet, this is all part of an effort to convert these new technologies from a potential tool of subversion into one that further bolsters governing power factions. It is thus unsurprising that the national police of Scotland posted the above-displayed warning last week. That warning tweet is starker and more honest than the tone typically used to convey such messages, but it perfectly captures the mindset of states throughout the west about the “dangers” of social media and the repressive steps they are now taking to combat them. As Jillian York of the Electronic Frontier Foundation documented this week, legal suppression of online speech is spreading throughout the west and democracies worldwide. Despite frequent national boasting of free speech protections, the U.S. has joined, and sometimes led, the trend to monitor and criminalize online political speech. The DOJ in 2011 prosecuted a 24-year-old Pakistani resident of the United States, Jubair Ahmad, on terrorism charges for uploading a 5-minute video to YouTube featuring photographs of Abu Ghraib abuses, video of American armored trucks exploding, and prayer messages about “jihad” from the leader of a designated terror group; he was convicted and sent to prison for 12 years. The same year, the DOJ indicted a 22-year-old Penn State student for, among other things, posting justifications of attacks on the U.S. to a “jihadi forum”; the speech offender, Emerson Winfield Begolly, was sentenced to 8 1/2 years in prison. As is true for all War on Terror abuses, this American version of criminalizing speech is spreading far beyond its original application, and is increasingly applied domestically. Anti-police messages are now being subjected to the same criminalizing treatment as anti-military and anti-U.S.-foreign-policy ideas. Last month in western Massachusetts, police issued a criminal summons to 27-year-old Charles DiRosa for posting an “anti-police Facebook post.” His “crime” was the posting of a very simple message on his Facebook account, which simply quoted the phrase posted on Facebook by Ismaaiyl Abdullah Brinsley on the day he killed two NYPD officers. It’s unsurprising that in a country borne of violent revolution against its monarch, the Constitution expressly guarantees the right to this advocacy, even if it includes justifications for violence. You’re allowed to argue that the state has become so corrupt and dangerous that violent revolution is merited. You’re allowed to argue that, in light of police abuse, killing police officers is a legitimate form of self-defense or is otherwise just. You’re allowed to argue that decades of U.S. violence against innocent Muslims ethically justifies, or even obligates, Muslims to bring violence back to the U.S. as the only means of stopping that aggression. Under the most basic free speech principles, nobody can be prosecuted for expressing those views. These principles reflect a vital recognition: empowering officials to criminalize the expression of those views is far more dangerous than the views themselves. Like the law generally, criminalizing online speech is reserved only for certain kinds of people (those with the least power) and certain kinds of views (the most marginalized and oppositional). Those who serve the most powerful factions or who endorse their orthodoxies are generally exempt. For that reason, these trends in criminalizing online speech are not so much an abstract attack on free speech generally, but worse, are an attempt to suppress particular ideas and particular kinds of people from engaging in effective persuasion and political activism.